Firecrest 16 Stops ND Filters (IRND 4.8) by Formatt-Hitech - Full Review[vslider name="banners"] In this review I will talk about the brand-new Formatt-Hitech filter, the Firecrest 16 (16 ND stops in one filter, this is what 16 stands for). This is the most neutral and, in its circular version, the slimmest stackable ND filter in the world, only 5.5mm thin. 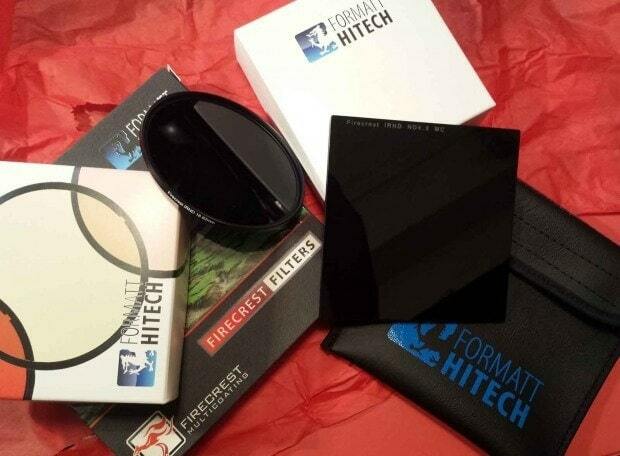 [caption id="attachment_2820" align="aligncenter" width="620"] Formatt-Hitech Firecrest 16 IRND 4.8 - Circular + Rectangular filters with package[/caption]You can find more things about the Firecrest filters in the book From Basics to Fine Art – B&W Photography, by me and Joel Tjintjelaar, where we both talk about these filters extensively together with reviewing the most important other filters on the market and generally the equipment you need for creating long exposure and fine art architectural photography. We were the first who talked publicly about the Firecrest filters (in the book) even before they were released and now we do this again by reviewing these filters extensively on our sites too. You can read a review of the Firecrest 16 also on Joel Tjintjelaar's site. Also, keeping the tradition of the book, I'm going to make another exclusive announcement about the Firecrest filters at the end of this review, some very fresh news that haven't yet been announced publicly. Read the reiew till the end and you will be the first to know. It's great news, this is the only tip I will give you now.